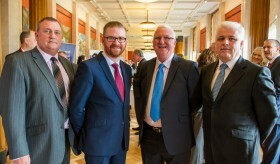 The Council of the Pharmaceutical Society NI (the Council) has launched an 8-week public consultation on new Indicative Sanctions Guidance for its Statutory Committee and is seeking responses from the public, pharmacists and interested stakeholders. 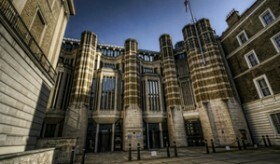 As an outcome of the work of the Rebalancing Medicines Legislation and Pharmacy Regulation Programme Board, the Department of Health and Social Care (London) has launched two UK wide consultations on behalf of the 4 UK health departments. President welcomes 2017 PSA Performance Review. The President of the Pharmaceutical Society NI, Dr Jim Livingstone, today (6/11/17) welcomed the publication by the Department of Health of the initial findings of the Consultation on the Future of Pharmacy Regulation in Northern Ireland. 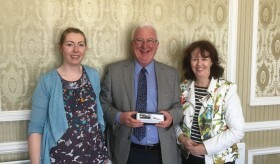 The President of the Pharmaceutical Society NI, Dr Jim Livingstone, has welcomed the introduction of new Regulations in relation to the annotation of pharmacists as Independent Prescribers. The following individuals have been removed from the Register of Pharmaceutical Chemists in Northern Ireland for non payment of fees, in accordance with Article 15(3) of the Pharmacy (Northern Ireland) Order 1976. Removal is effective from 1 September 2017 (inclusive). Advice on Conflicts of Interest. Today, along with the CEOs of the other 8 healthcare regulators, Trevor Patterson signed a Joint Statement containing advice for healthcare registrants on dealing with conflicts of interest. The Pharmaceutical Society NI is looking to appoint a minimum of eight experienced clinical advisers, with a range of expertise to its Clinical Advisers List. Clinical advisers will provide advice to Fitness to Practise Committees on health related issues. Following the closure of the Consultation in January on the proposed new Regulations for Independent and Supplementary Prescribers, draft Regulations have been passed to the Department of Health for approval and completion of the NI Assembly processes. Please see below the list of those pharmacists who have been removed from the Register of Pharmaceutical Chemists in Northern Ireland (and who at the date of this notice remain unregistered) due to non-payment of fees for the year 2016-17. As of the 15 June 2016, 83.5% of registrants had paid their retention fee online, compared to 40% last year. This is an extremely positive response to the organisation’s drive to get registrants to switch to the online system. All Pharmacists wishing to remain on the Register of the Pharmaceutical Society of NI must complete the retention process by 1 June 2016. The Department of Health, Social Services and Public Safety is seeking to appoint six Council Members to the Pharmaceutical Society of Northern Ireland (five registered persons and one lay member). To be appointed with effect from 1 June 2016. The Pharmaceutical Society NI has launched its new Code (Professional standards of conduct, ethics and performance for pharmacists in Northern Ireland). 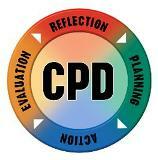 During the period when the CPD portal is not open, we are providing two forms on which CPD cycles can be recorded. The Pharmaceutical Society of Northern Ireland today launched a consultation on a new Code of Conduct for all pharmacists in Northern Ireland to replace its previous Code of Ethics. All annual retention forms for registered premises have been mailed today, 28th Nov 2014. The Pharmaceutical Society NI has today launched a 3 month consultation on the level of the Annual retention and other associated fees for registrants for the years commencing 1st June 2015, 2016 and 2017 respectively. The following pharmacists were removed from the register of Pharmaceutical Chemists in Northern Ireland for non-compliance with the CPD requirements for the year 2013-14.Removal is effective from 16 August 2014 (Inclusive). The Pharmaceutical Society NI is inviting comments on draft Standards for the provision of Monitored Dosage Systems (MDS). These Standards outline the professional and legal responsibilities pharmacists have with respect to the provision of MDS to patients. The Department of Health, Social Services and Public Safety NI, has launched a recruitment exercise seeking new lay and registrant members for the Council of the Pharmaceutical Society NI. The Pharmaceutical Society NI has published new Guidance on the statutory requirement to hold appropriate indemnity cover and what this means for our registrants. 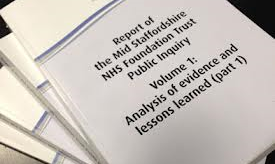 This Guidance has been produced following a consultation which closed in April 2014…. All Annual Retention Packs have now been mailed to registrant’s registered address, for the coming year. 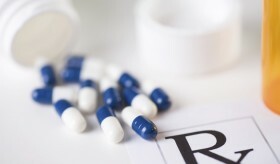 All retention information, including the retention fee must be returned to the Pharmaceutical Society NI by 1 June 2014. The final CPD framework has been published today following a consultation on the concluding part of the CPD framework and final agreement by Council. 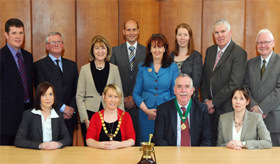 At its January meeting (27/1/14) the Council of the Pharmaceutical Society NI noted, with regret, the resignation of Ms Jacqui Dougan MPSNI as member of Council and President, for personal and private reasons. On Thursday 28th November, all premises retention forms for the year 2014 were issued to all registered pharmacies. These forms and the associated retention fee must be returned by 1st January 2014. Pharmaceutical Society NI responds to Francis Report. At the Council meeting held on 26th September the Council of the Pharmaceutical Society NI approved its formal response and action plan in relation to the Francis Report and the subsequent Berwick Report. Pharmaceutical Society NI welcomes the publication of the Professional Standards Authority annual report. 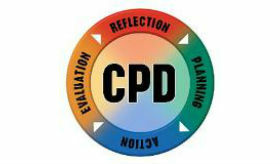 As we approach the conclusion of the CPD year 2012-13, I would like to clarify the arrangements for CPD submission/assessment for June 2013. 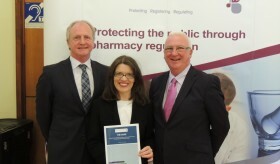 New Standards for pharmacist prescribers have been issued by the Pharmaceutical Society of Northern Ireland today.It replaces the previous edition published in 2009 and follows a public consultation held in December 2012. The Pharmaceutical Society NI is pleased to promote, the International Pharmaceutical Federation (FIP) Congress. 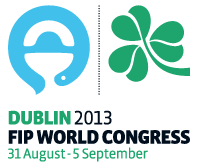 In 2013 FIP will host its Annual Congress in collaboration with the Pharmaceutical Society of Ireland (PSI) and its Irish partners in Dublin. 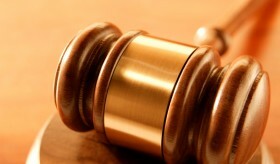 With the introduction of the new legislation in October 2012, the Fitness to Practise process has been restructured and the Committees (the Statutory and Scrutiny Committees) have been given new powers. Under the new legislation which came into effect on1st October 2012, the Pharmaceutical Society NI and the Registrar are legally obliged to make available to the public, employers and other pharmacists, a registrant’s fitness to practise status.